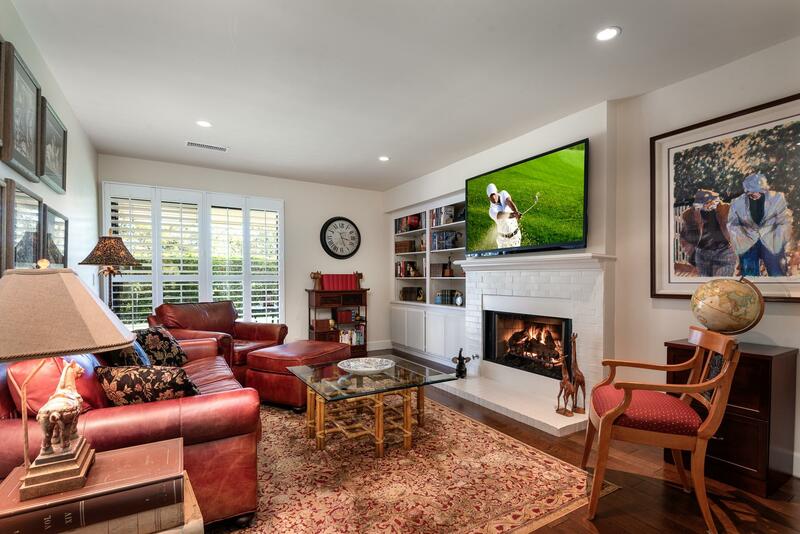 Located at the end of a cul-de-sac and on the 14th fairway of the prestigious Birnam Wood Golf Club, this comfortable 2 bedroom 2.5 bath home with a guest cottage exudes warmth and refinement. 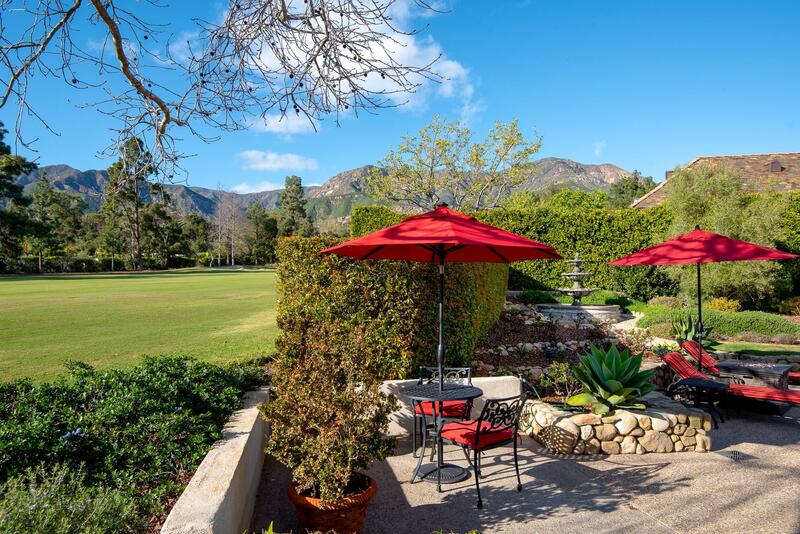 The flexible single level floor plan is simple, yet elegant, including generous sun-filled rooms, many of which feature stunning views of the mountains and fairway. 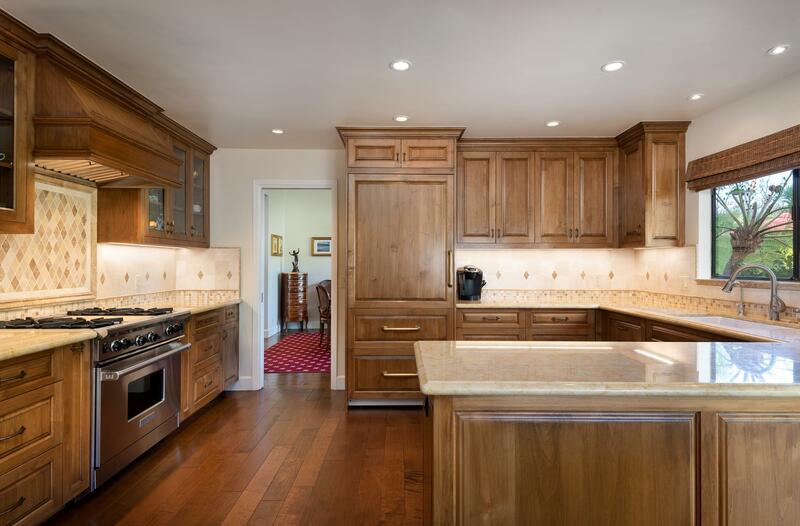 Both the interior rooms and exterior areas of the home have been meticulously maintained. 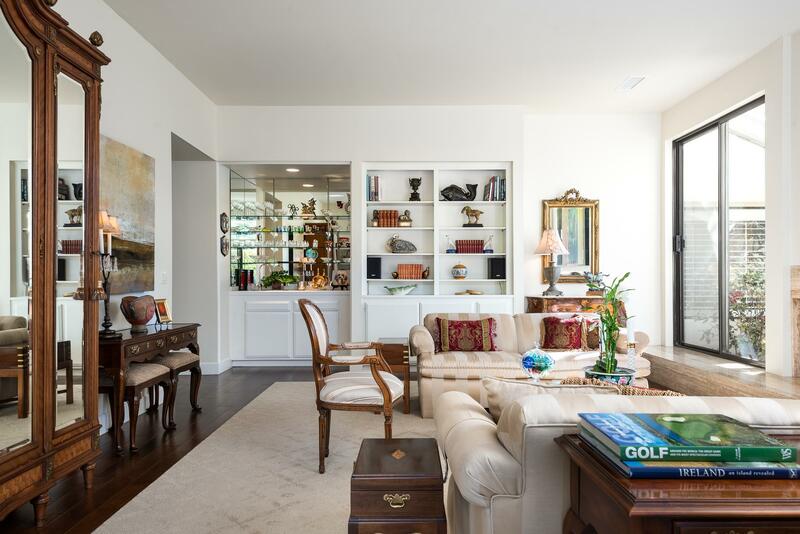 Clean dark-stained wood floors, crisp white walls, large picture windows and built-in bookshelves are found throughout. 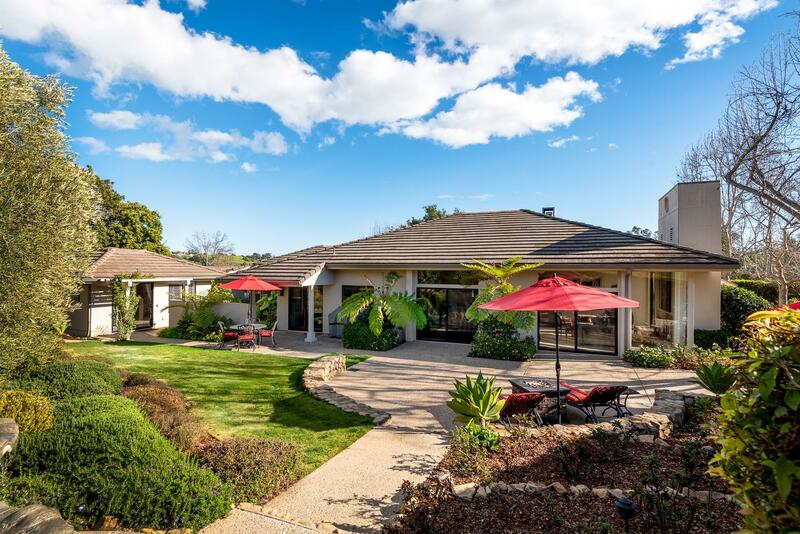 A lovely flagstone pathway spans most of the ±1.16 acres of the property, winding through the well-manicured gardens, lawns and connecting to the sprawling entertaining patio. The entry courtyard is lined with lush landscaping of palms, roses and ferns and welcomes you to the front of the home with a black coffered front door. 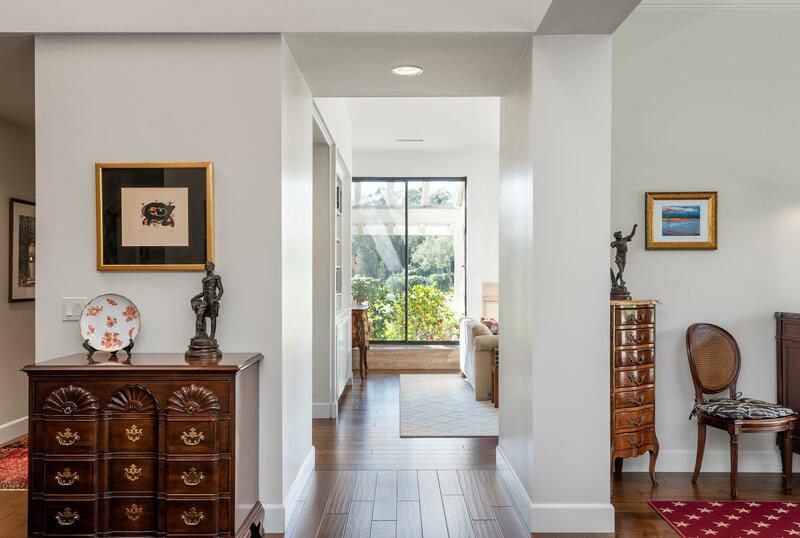 The entry foyer, with spacious walls for art display, leads to the heart of the home. 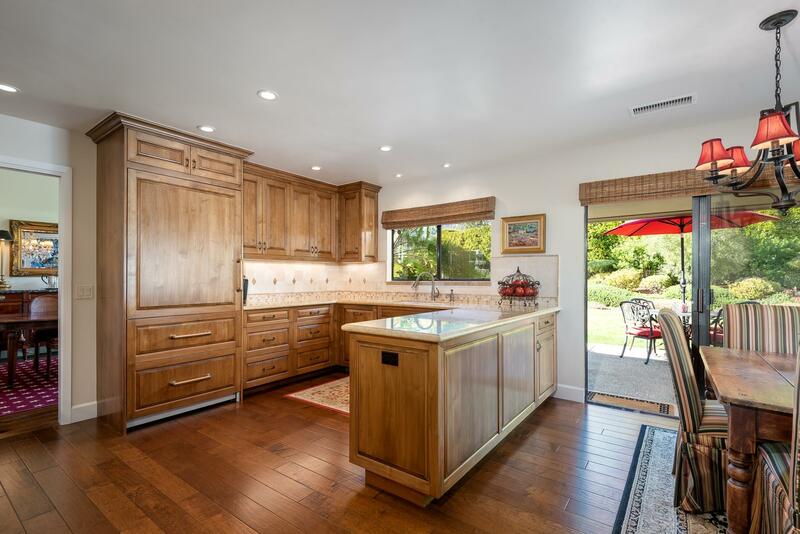 The kitchen with a breakfast area and the adjacent formal dining room have sliding glass doors to the entertaining patio. 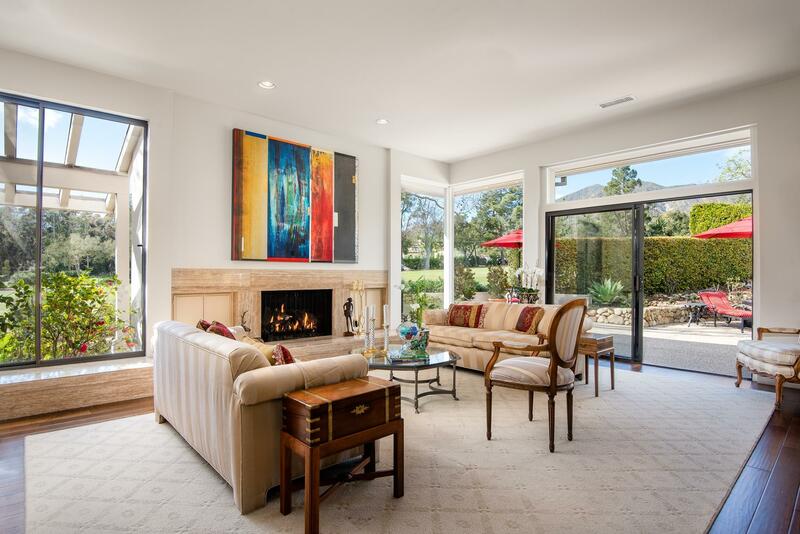 The living room projects incredible mountain views and has a wet bar, a stunning fireplace with a raised hearth that continues the length of the room and sliding glass doors to the patio. 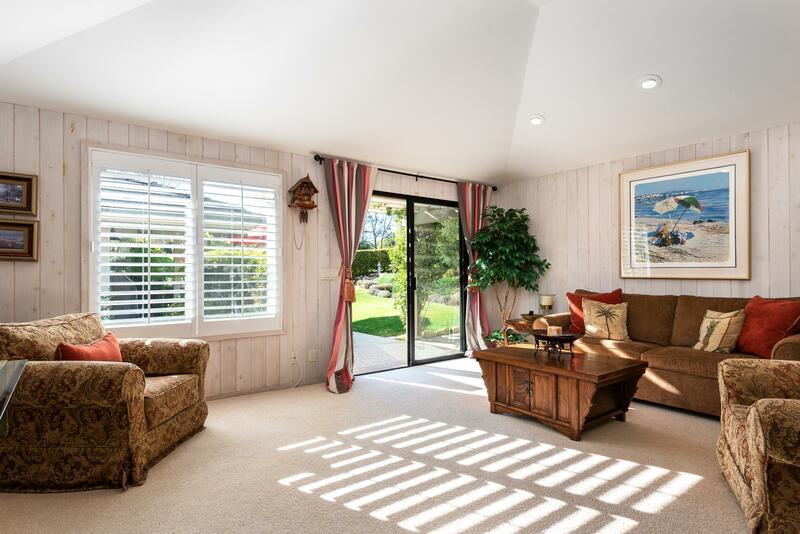 Across the foyer there is an intimate family room, which could also be used as an office, media room or den, features a cozy brick fireplace and wood shutters. 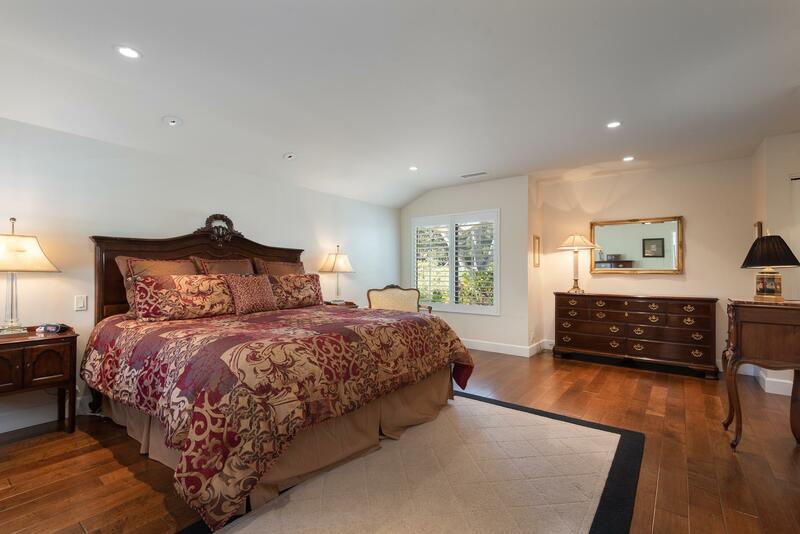 The master bedroom has a large walk-in closet, gorgeous views and a spacious bathroom with a relaxing soaking tub. 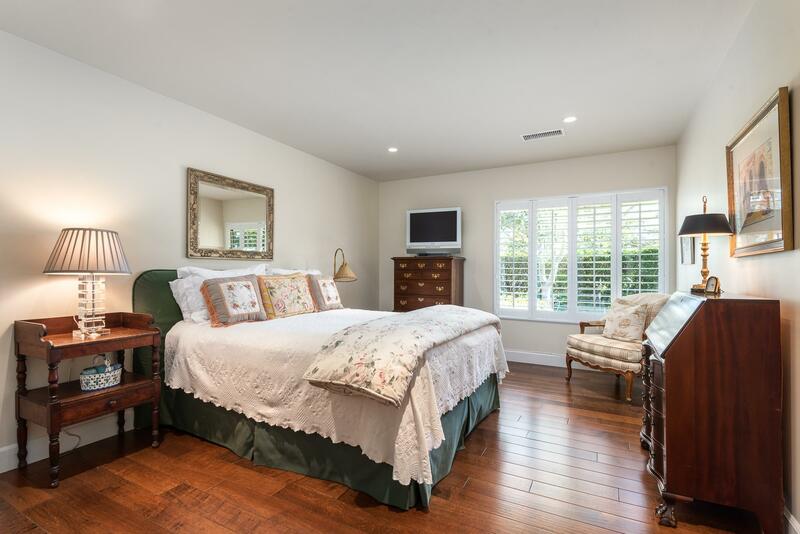 The very private guest suite features a bedroom and a separate bathroom with a walk-in shower. 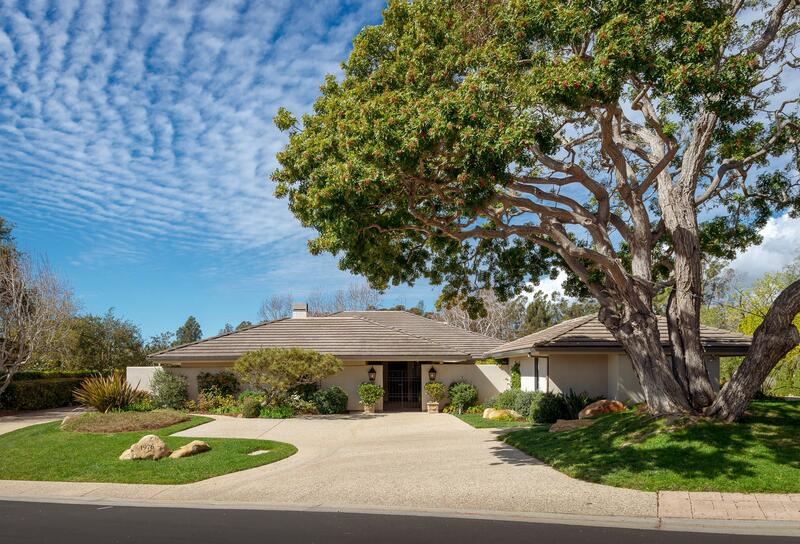 The main residence has an additional powder room, laundry room and an attached two-car garage. The charming detached guest cottage can be privately accessed by a discrete side path or by the shared courtyard. 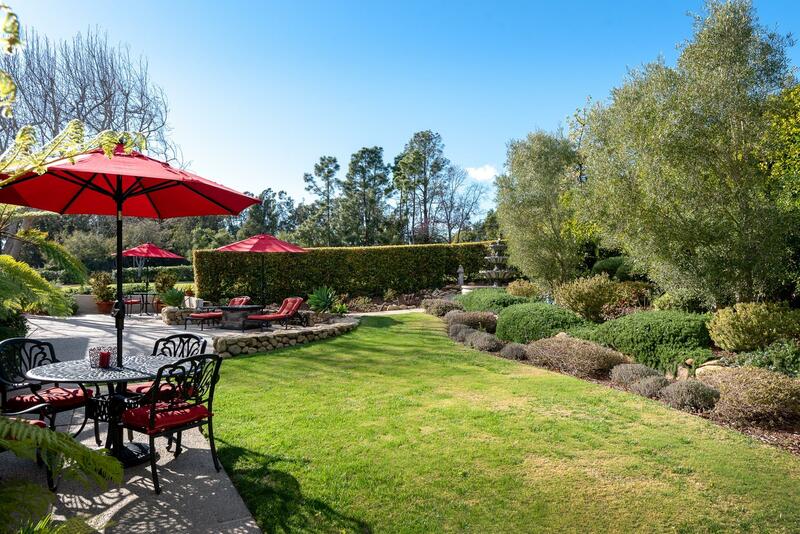 The spacious cottage has vaulted ceilings, a full bathroom and a sizable open living area. 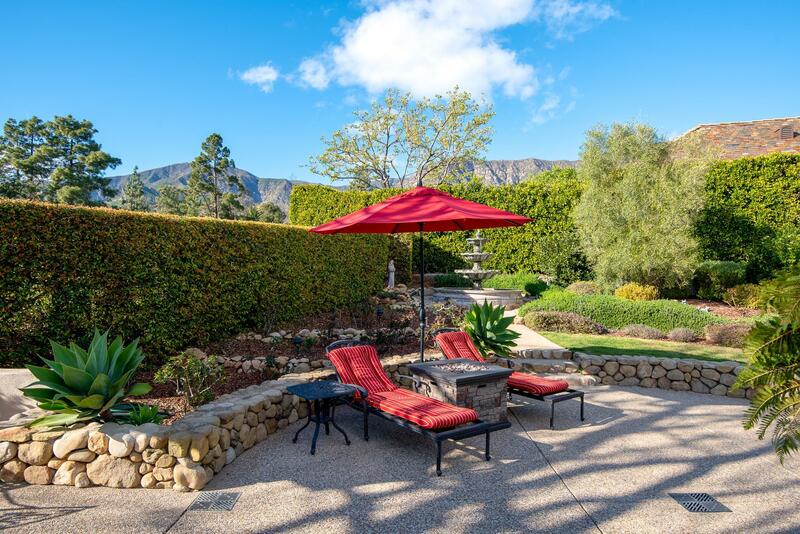 An endearing trellis-covered front patio continues on to the shared entertaining patio and gardens with a tranquil fountain and plenty of sitting areas looking out to the mountains and fairway. 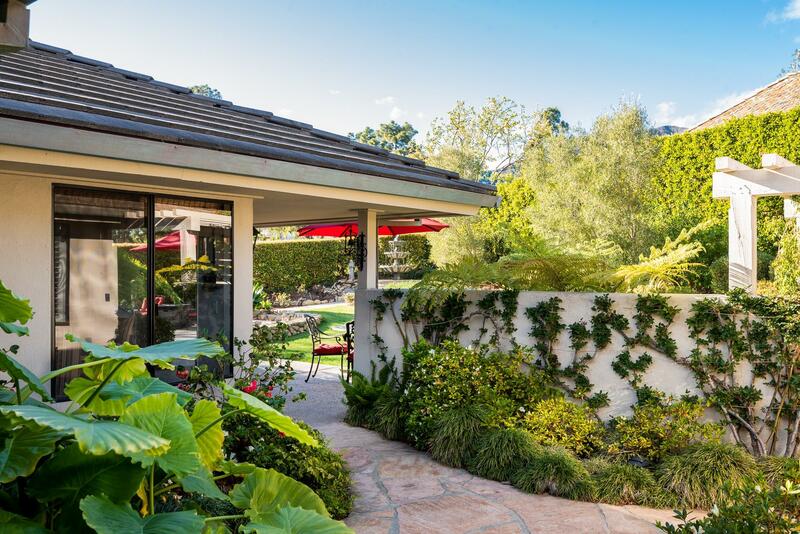 Perfectly manicured hedges ensure privacy and tranquility. 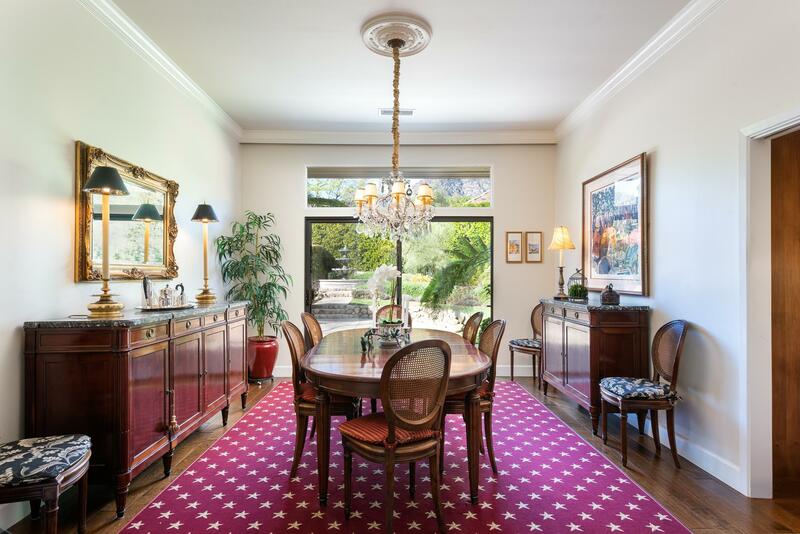 This delightful home is the perfect pied-a-terre or year round residence.